The Silder vs. Dolly Debate: Which is Right for You? A camera dolly is a wonderful piece of equipment to own when making a movie because the movement of the camera adds to your project immediately improves the production value. However, there are many things to take into consideration when looking into purchasing or using a dolly. The biggest question is the time and money you have to spend on the movie. A dolly takes a lot of time to get in place, as tracks have to be laid for it to work properly. The surface also needs to be smooth so the dolly does not bounce around when moving during the shot. Over recent years, an alternative called a camera slider has been introduced. It is smaller and was made specifically for small cameras. When choosing whether you want a slider vs. dolly, here are the positives and negatives of each piece of equipment. The dolly is one of the most famous tools of a filmmaker’s trade, used to move the camera in a shot. A studio dolly is a huge piece of equipment, normally heavy enough to hold the camera, camera operator and an assistant while pushed or pulled by a pair of grips. This is a vital piece of equipment in any large film and serves an important purpose but can be impossible to use for some filmmakers. The biggest downfall to using a dolly is the fact that it takes a lot of time to lay the tracks that the dolly will travel and this is a time expenditure that many low budget filmmakers cannot afford. It is also something that they may not be able to financially afford as well. Over the years, many alternatives to the expensive and time consuming dolly have been implemented in smaller independent film productions. One of the most popular substitutions have been using skateboards to mimic dolly movement. An even older technique was to use wheelchairs to move the camera. Both of these are honest substitutions for the dolly but both have their downfalls, basically with the jerky movement that hurts the look of the shot. Of course, there are a million DIY options available online to build your own dolly and dolly tracks and some of them actually work, if you are mechanically inclined to build your own equipment. Amazon.com also offers a number of universal dollys but, without tracks, these are tricky to use and require an expert hand when operating them. If you have the time and money, there is nothing better to use for moving shots than a properly constructed dolly. However, time and money are not always easy to come by when you are an independent filmmaker. The slider is a new form of a dolly type piece of filmmaking equipment. While dollys are complicated, often heavy, pieces of equipment, sliders have come into popularity thanks to the advent of smaller, lightweight digital cameras. 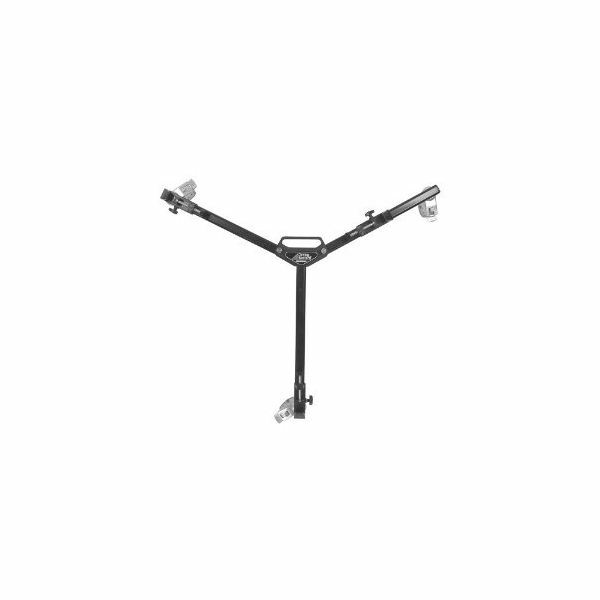 A camera slider consists of a metal base with two rails. A carriage sits atop and rides along these rails. Oftentimes, wheels are used under the carriage to ensure smooth movement with little friction. When properly constructed, the sliders offer perfectly balanced friction, quiet operation, a wide stance and no oil is ever needed to keep it running smoothly. This new piece of filmmaking equipment has some distinct advantages over a typical dolly, whether an expensive studio dolly or a skateboard dolly. The biggest plus is that it is small and lightweight. You don’t need to purchase, build and lay the track for the dolly to ride along. All you have to do to get the camera slider ready to work with is to attach it to your tripod. Another advantage to using a camera slider is the options available to you. When working with a dolly, you are usually restricted to the size and bulk of the dolly. 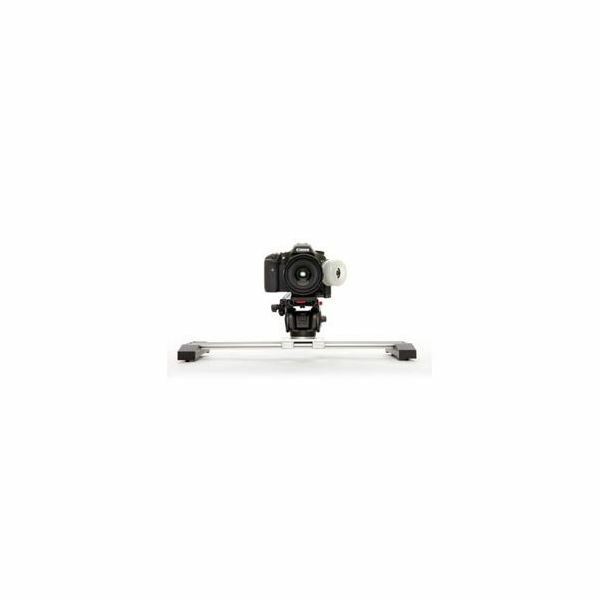 However, with a camera slider, you will set it up on the tripod or, if you want, lay it across ground, on a counter or any other level surface. This gives you numerous options for the height and distance of your shots using the slider. Now, the biggest disadvantage to the camera slider is that it is meant for short shots. If you plan on utilizing an extremely long dolly shot, covering a lot of space, the camera slider is not for you. In those cases, it is better to lay the tracks and prepare to move the large dolly around the room for your shot. However, for small shots of around 30 seconds of less, the camera slider will work great. It is also important to know that most camera sliders are short, usually four to five feet in length, so you are limited to how long of a shot you can do. You can attach two or more sliders together but there is less chance to smooth movement as you go from one to the next. Also, the slider is so close to the camera that only side-to-side movements are recommended because when moving back and forth along a track, the slider will be seen from the camera’s lens. However, regardless of these limitations, if you need some movement from your shots, the camera slider is a great alternative. When shooting anything on a budget, there is not always time to stop and lay the tracks for the dolly shot. However, you can get your movement done in quick time using a camera slider, which takes mere minutes to set up.